Temporary hair colors come in liquid, spray and gel forms. 1 How Long Does a Hair Texturizer Last? Visions of frizzled, fried and falling-out hair may plague your nightmares if you're planning on getting your hair permed and colored in the same day -- regardless of whether your "perm" is a permanent curl set or permanent relaxer style. Set aside your movie makeover fantasy for now -- you just can't do a total hair transformation in one day without totally destroying your hair as well, unless you're willing to work without permanent color. If you're dead-set on permanent color, you'll have to sit on your hands for some time. At a bare minimum, you must wait seven days and at least one shampooing, but your stylist may recommend waiting at least two weeks before applying color. If your hair has reacted poorly in the past to mixed perm or relaxer and dye processes, don't feel pressured to hurry -- you can go even longer between perming and coloring, and your hair will be all the healthier for it. With the severe damage risk you're taking by adding color to newly processed hair, you should minimize any possible complications. A stylist can evaluate the condition of your post-processed hair and determine the safest course of action. She may recommend a longer wait time or warn you away from permanent dye entirely if she feels your hair cannot suffer any more damage -- breakage after relaxing or perming is a good indication that your hair needs a break from chemicals. How Can I Do Same-Day Color? Choose a temporary or semi-permanent dye to color your hair, as neither type contains harsh ammonia or peroxide. These dyes only tone hair and cannot lighten hair. Temporary hair color lasts only up to one or two washings, but it is the safest option for same-day color, along with heat-free semi-permanent dyes. 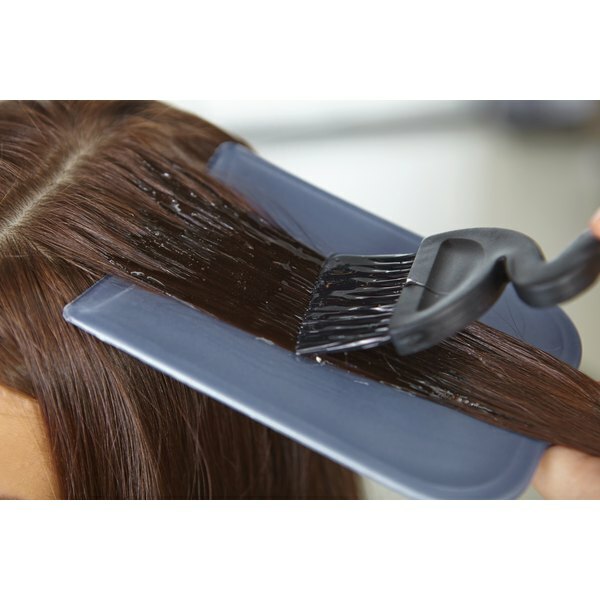 Semi-permanent dye generally remains in hair for up to 12 shampoos, but it may have better color longevity if applied on the same day as a perm, since the hair cuticle will be more porous than normal.